Precast concrete pole bases provide beautifully-designed foundations for outdoor site lighting, flag poles, advertising sign posts, pipe cradles, parking lot fixtures and many other applications that require a circular base. At Winchester Precast, each Pole Base® structure is engineered to meet your project’s unique needs and desired aesthetic. Lighting and sign foundations are an integral part of a project’s overall design. Pole bases provide an attractive and efficient alternative to other installation processes for these fixtures. 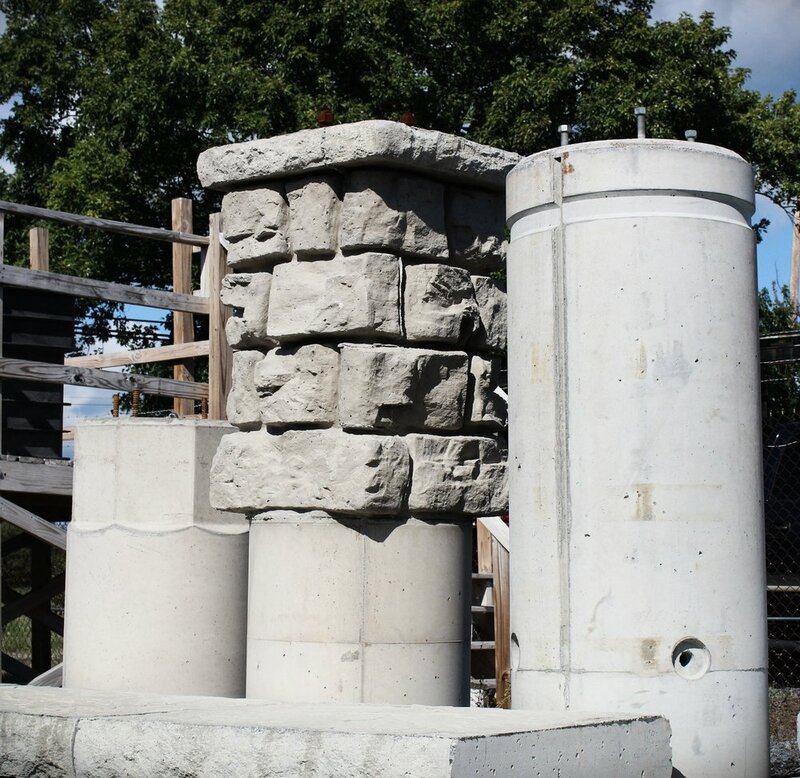 Winchester Precast offers precast concrete pole bases with an 18” or 24” diameter in round, square and octagonal forms with a variety of textures. Winchester Precast is certified by both the National Precast Concrete Association and Virginia Department of Transportation. All of our products and materials go through multiple quality and certification processes before the product is delivered to the job site. Can the same be said of pole bases that are poured in the field? Best of all, precast pole bases are easy to install making your job simpler, faster and cost-efficient! Our engineers can handle any electrical or aesthetic specifications you need, allowing you to put a fully-engineered foundation in on your next project. Get a quote today! Check out our Frequently Asked Questions page and the Pole Base® website for more information on specifications and installing pole bases. One of our latest pole base installs in Winchester, VA. The Burger King lot required specific locations for the conduits. Power Concepts was very pleased with the quick and easy installation. 2018 NPCA Platinum Safety Award Winner! Copyright ⓒ 2019 Winchester Building Supply Inc. - All Rights Reserved.